A controversial performance artist was attacked Sunday at a book signing in Florence, Italy. 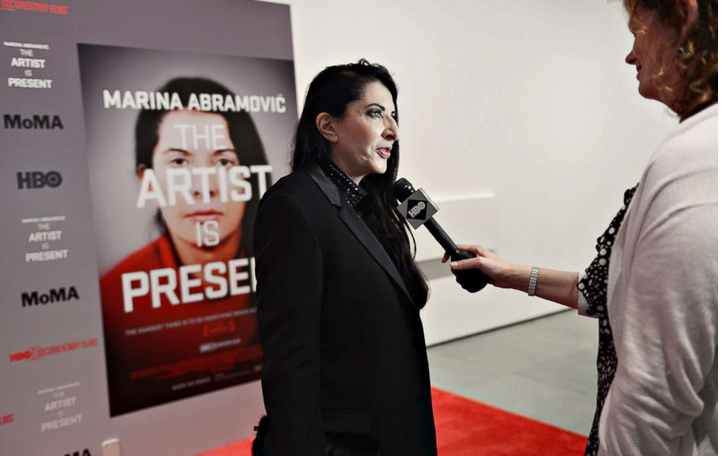 Marina Abramovic was meeting fans at the opening of a retrospective exhibition of her work when another artist smashed a framed portrait over her head. The incident was caught on cellphone video and shows a stunned Abramovic, who was not seriously injured in the attack. The assailant was quickly wrestled to the ground by security officials. Abramovic, 71, said in a statement afterward that a man was holding a “rather distorted” portrait of her which she initially thought was gift. Museum officials identified the assailant as 51-year-old Vaclav Pisvejc, an aspiring artist from the Czech Republic who has been detained before for acting out at art exhibits. Earlier this year, Pisvejc was questioned for spray-painting a statue that was being displayed in Florence’s famed Piazza della Signoria. Pisvejc, according to The New York Times, told authorities why he went after Abramovic. “I had to do it for my art,” he said. Did Marián Kočner order journalist Jan Kuciak’s murder?